There are five legislative assembly constituency in Maharajganj district for the 2017 Assembly elections. 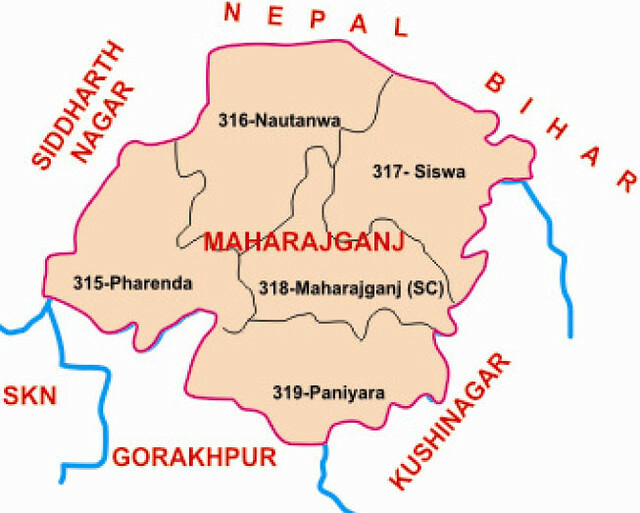 They are 318 Maharajganj, 316 Nautanwa, 319 Paniyara, 315 Pharenda, 317 Siswa. When Uttar Pradesh assembly election 2017 is getting ready to electios new Assembly, Maharajganj is not anywhere behind in the election heat. Maharajganj district ( महाराजगंज जिला ) is one of the 75 districts of Uttar Pradesh state in northern India, and the town of Maharajganj is the district headquarters. Famous places in Maharajganj are Mogalaha Sharif, Dargah Hare Bhare Shah Baba.